In addition to watching the video embedded above, you can also grab the show as a lower resolution MP4 file, ss330.mp4 (540p, encoded at a bitrate suitable for even budget phones), 183MB, 10 minutes long, released 1st February 2018. Steve Litchfield, (C) 2006-2018 email me at slitchfield@gmail.com. Show 343 - Reviewing the Nokia 7 Plus - a perfectly balanced high end mid-ranger? Show 342 - Review of the new Asus Zenfone 5, so close to a true flagship yet a third the price! Show 341 - Review of the Blackberry KEY2, polished and slick, but one compromise too many? Show 340 - The Gemini Verdict! Show 337 - Living with a 'compact flagship' - the Sony XZ1 Compact. Show 335 - My take on a dozen smartphone Hot Potatoes - controversial spec points! 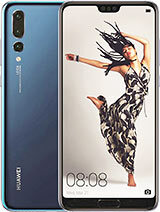 Show 334 - Taming the Samsung Experience, plus news of the Huawei P20 Pro. Show 332 - My hands-on PREVIEW of the Gemini PDA, setting this new smartphone into context and clarifying who it's for. Show 327 - Hands-on review of the Nokia 8, a cheaper and more capable Pixel 2?